Our range of products include aluminum ladder type cable tray and ss ladder type cable trays. 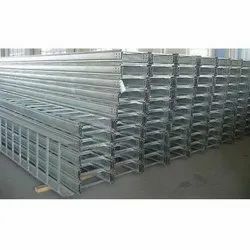 Aluminum Ladder Type Cable Tray is a basic tray which aspects like a ladder is fitted with other fittings based on point of use. Our ladder type cable products are well known in the market for the varieties that we offer. Enriched by our industry experience we offer an extensive range of these products to our valued clients at competitive prices. These are contrived using finest grade raw materials sourced from our reliable dealers of the industry. 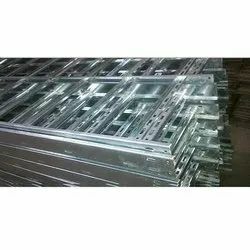 Our wide range of SSCable Trays Of Ladder Type is enormously valued by numerous customers all over the global market for its quality. Ladder type cable trays are offered to keep in view the existing market standards and requirements which are available in a variety of textures. These trays are fit to use in thick duty power circulation. This ladder type cable trays range comes at reasonable rates. Looking for Ladder Type Cable Trays ?